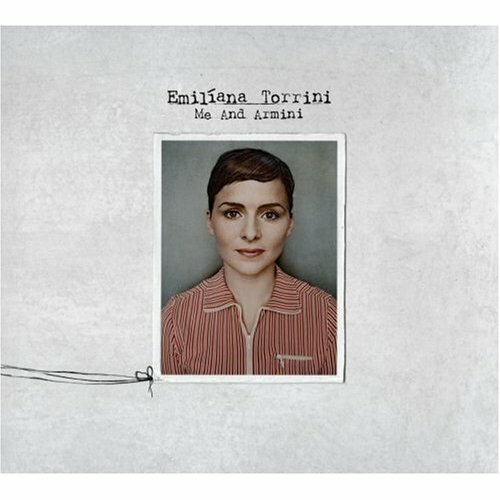 On its face, Me and Armini could be just like a number of female-fronted pop records; Emiliana Torrini has a simultaneously marketable and enjoyable vocal style that wouldn’t bring any surprises if it reached mainstream success. Me and Armini, though, is much more than a simple throw-away pop release, and Torrini’s silky vocals are only the tip of a musical iceberg. Torrini might be best known for performing “Gollum’s Song” from 2002’s The Lord of the Rings: The Two Towers, but Me and Armini could change her status from being a slight footnote in mainstream pop culture, whic she attained both for “Gollum’s Song” and for co-writing two tracks from Kylie Minogue’s Body Language. A footnote, though, doesn’t seem to be Torrini’s favorite option, so with Me and Armini she’s released a powerful, engaging picture of her musical talent of the Iceland native. Vocally, Torrini is superb, but Me and Armini is a record populated not only by beautiful vocals, but by well-thought, inspired instrumentation that’s almost as album-defining as Torrini herself. From the reverb-laden “Gun” to the synthesizer-backed “Dead Duck,“ the musical background Me and Armini is set to is nearly as inspiring as its vocals — a tough feat, indeed. Thankfully, Torrini doesn’t succumb to the trappings of three-minute pop songs, and each track lasts as long as it seems it should; whether a given track lasts from two minutes to just over six, it’s clear that Torrini has a modern sensibility that others abandon in favor of flash-in-the-pan radio hits. Me and Armini lacks any definitive radio single, though “Heard It All Before” comes fairly close with its energetic reggae-inflected rhythm, and “Jungle Drum” comes closer with poppy rhythms and a catchy chorus. Of course, that’s not to say that any of this album is something that will be rejected outright by mainstream pop listeners, despite the album being released on the historically not-mainstream-oriented Rough Trade Records (though not exclusively so.) Torrini, her sultry vocals fronting Me and Armini is on the verge of something that may just be accepted on a wider scale: After all, while there’s no shame in singing about a disfigured denizen of Middle Earth, there’s no shame in being known for something else, instead. Thanks for the tip! 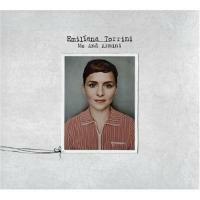 I have really enjoyed her past Trip Hop and Folk albums. From the sounds of this track it sounds like she has finally found a nice middle ground for making the best of her various fortes.